TaskFreak! 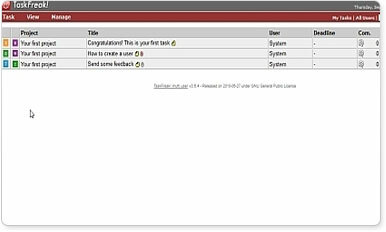 Original is a simple but efficient web based task manager written in PHP. Originally created in September 2005, it has evolved over the years. It is now available in 24 languages. TaskFreak is released under the GNU GENERAL PUBLIC LICENSE.